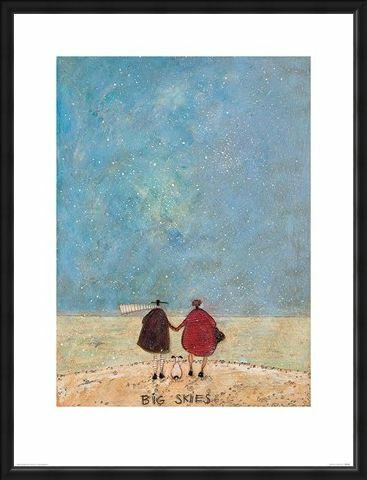 Hand in hand Mr and Mrs Mustard enjoy the sea views and big skies from the sandy shore. 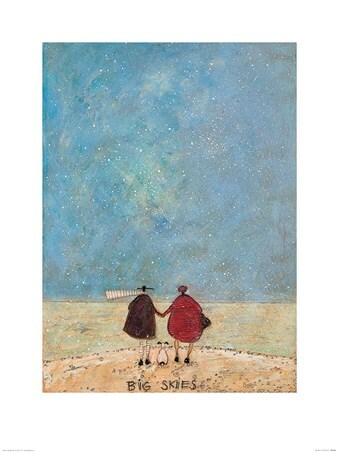 With their companion Doris perched between them, this little family are back at one of their favourite spots in this simply wonderful print by artist Sam Toft. 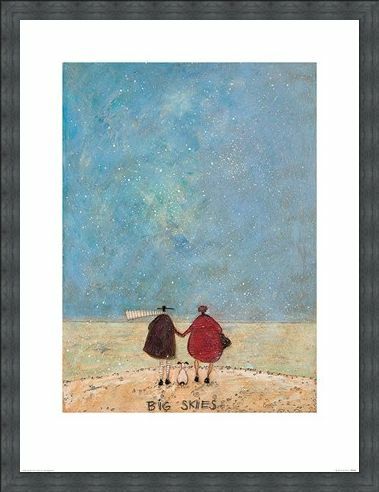 With small splatters of paint resembling foamy seas spray, you could almost be there yourself, taking in the sights. 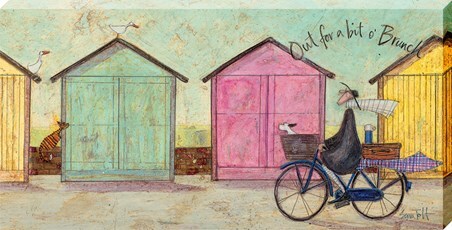 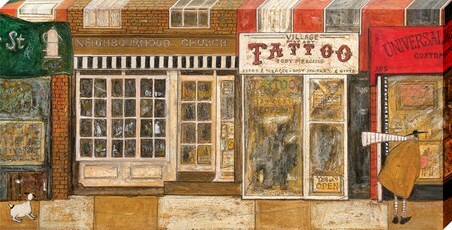 A charming print for your home to start your Toft collection. 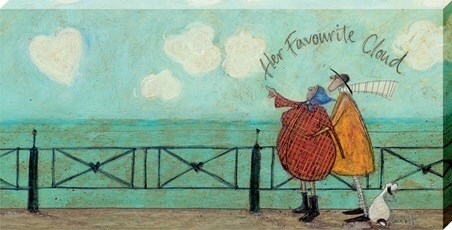 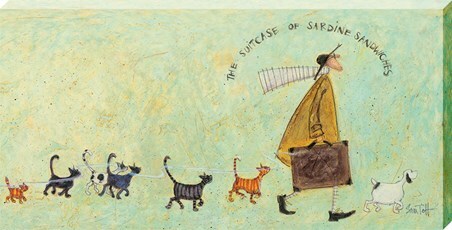 High quality, framed Big Skies, Sam Toft print with a bespoke frame by our custom framing service.